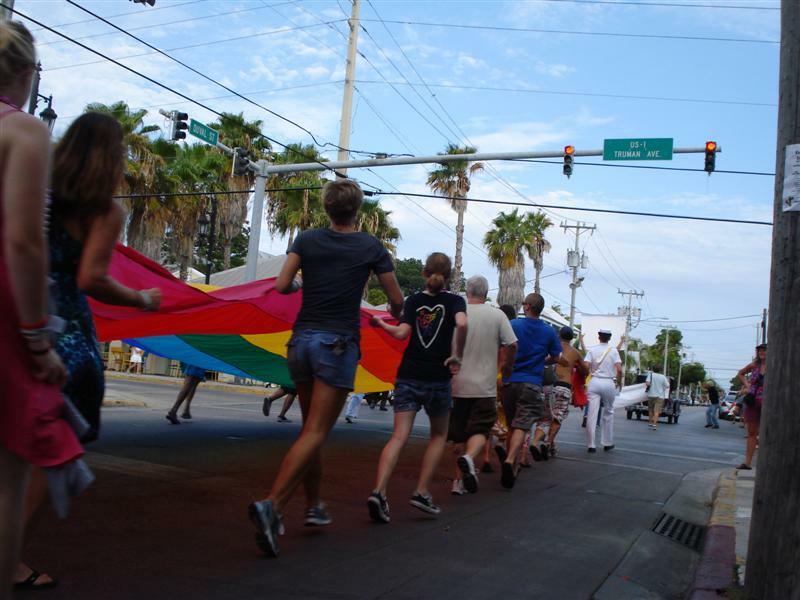 Sunday evening we went to see the pride parade down Duval street. 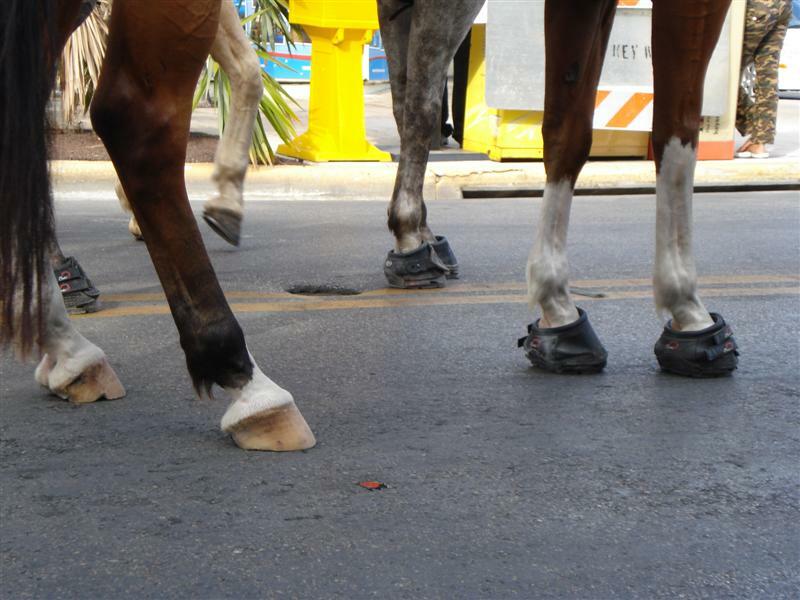 From my vantage point on the curb, I noticed that the police horses were wearing pretty cool shoes. I called them Vibram One-Finger shoes. 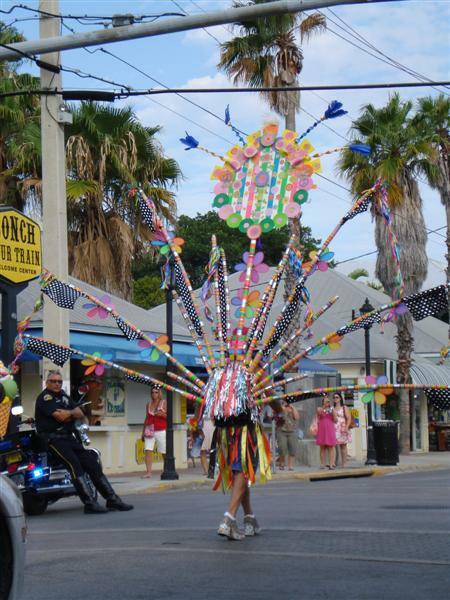 This super cool “headdress” is from Island Gym, and it is more than one lane wide. 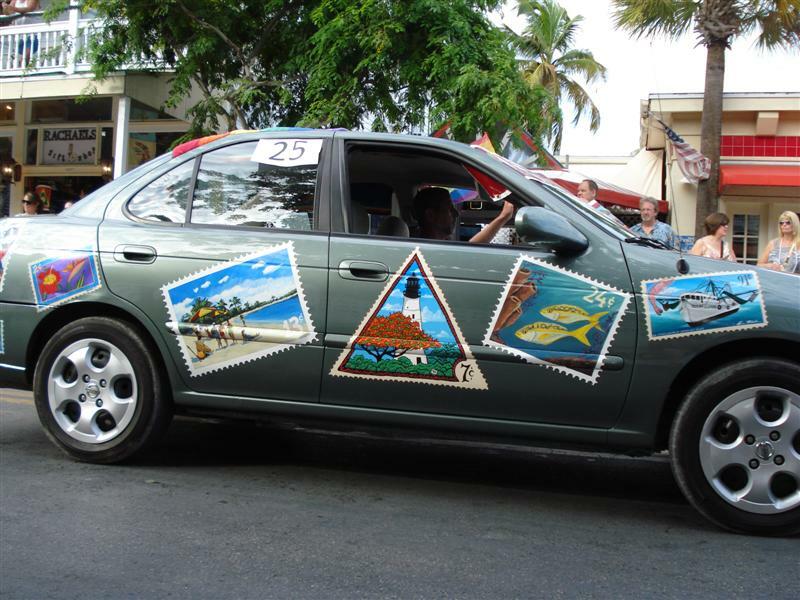 I like this car with stamps painted on it, but I don’t know who owns it. 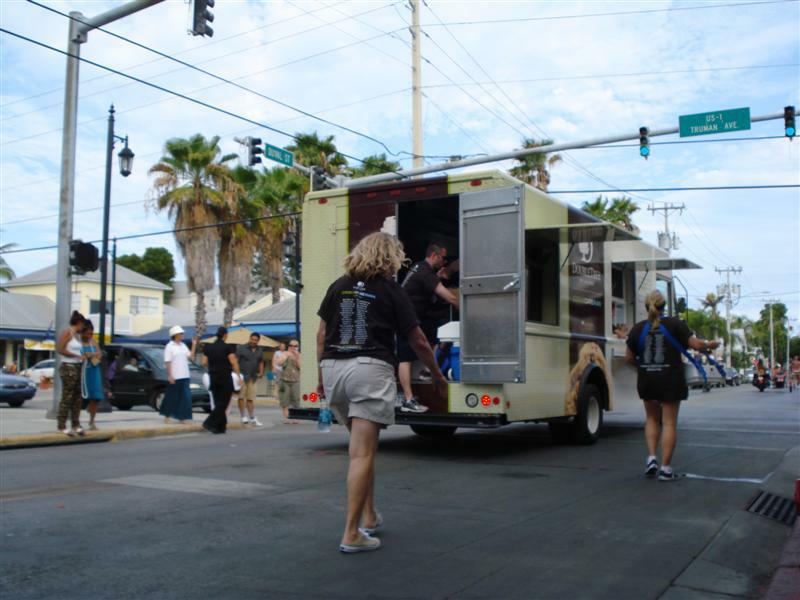 The cookie mobile gave us FIVE fresh chocolate chip cookies (the benefit of taking a kid to a parade). I have to interject here that one of the great benefits of having a little kid, besides the cookies, is the ability to use a bathroom in stores that have “no public bathrooms”. I never let on that it’s not actually my kid who’s going to have an accident if we don’t get to use their restroom right now. 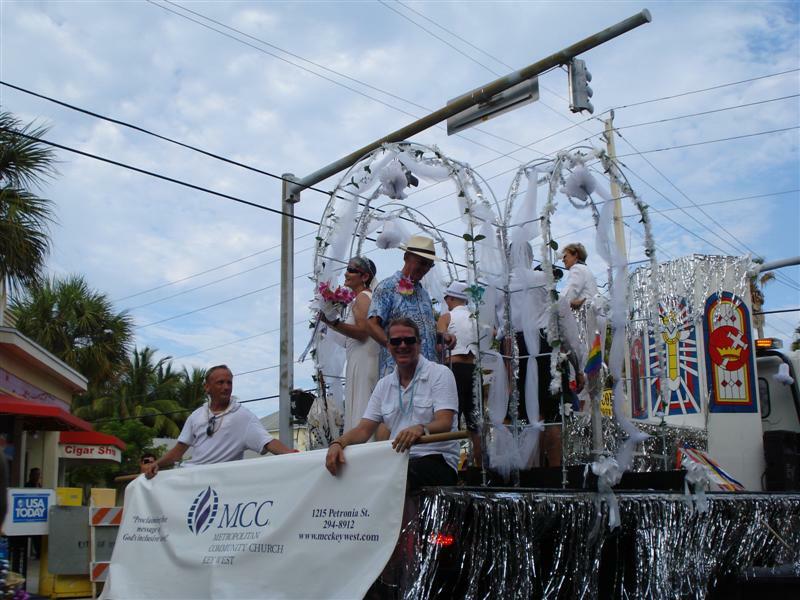 Here’s a float from the MCC, the only church I’ve set foot inside in years (for a Hand-and-Foot tournament). 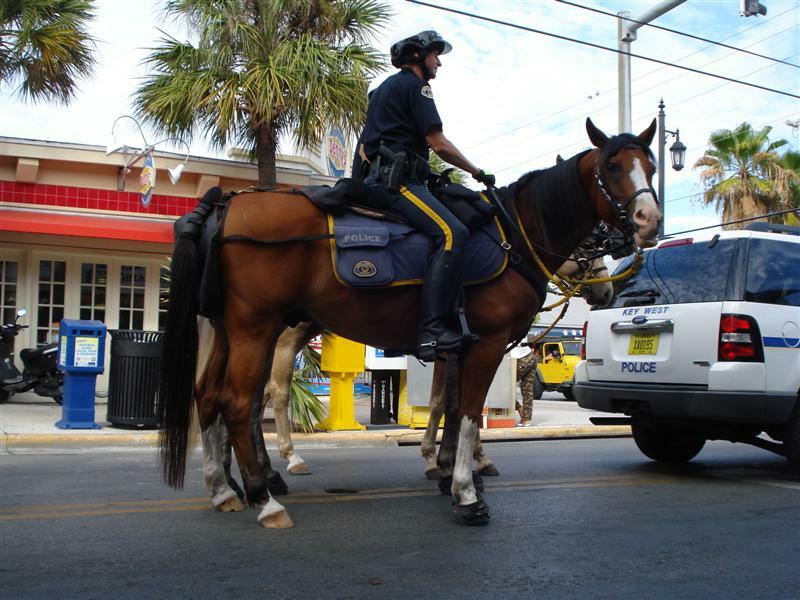 Our friend Scot sits on the corner closest to us. 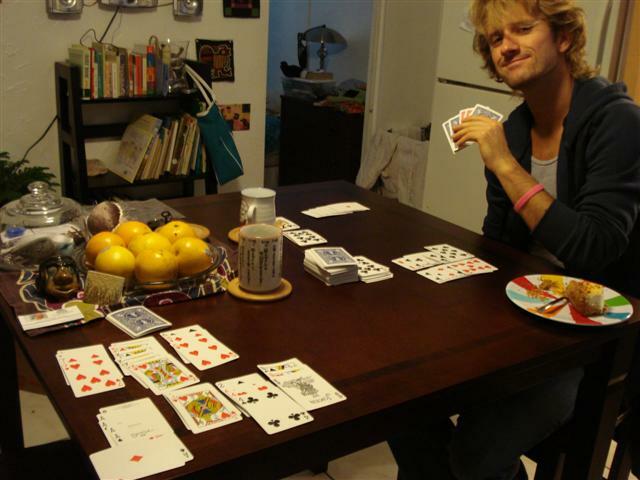 He taught us the game last winter…I think he was a bit surprised at how fast we caught on to that locally popular version of canasta. 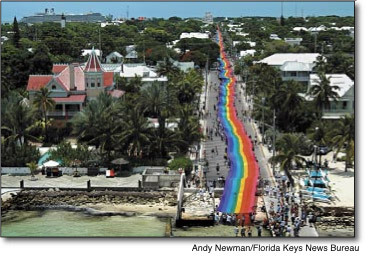 In 2003 there was an 8-bar rainbow flag that stretched from one end of Duval street to the other. Now pieces of it travel the globe and we have a small section for our parade. Although curious, I did not ask how this codpiece stays on.